San Francisco is one step closer to finalizing the redesign of its public, self-cleaning toilets. On Monday, the city selected a futuristic design concept created by SmithGroupJJR from a trio proposals that included bids by Min Design and Branch Creative. The three finalists were unveiled in April, with SmithGroupJJR ultimately selected in an effort to boost the contemporary stylings of the city’s public facilities, according to the San Francisco Department of Public Works. Initially, 12 teams were in the running for the design competition. The public toilets will operated by bus stop advertising agency JCDecaux and will be funded via income generated from informational and retail kiosks that will be deployed in conjunction with the toilets. Bill Katz, design principal at SmithGroupJJR, told The San Francisco Chronicle, “The big idea is to combine sculpture and technology. We want an object that literally reflects the surroundings and the neighborhoods that it is in, but also will be forward-looking.” The changes come more than 20 years after San Francisco debuted an initial, Art Nouveaux-inspired public toilet concept in 1996 that has been loved and hated alike by the public. The forest green-colored, pill-shaped facilities are currently dispersed throughout San Francisco’s urban core and are also used in Los Angeles, among other localities. In all, the city aims to install or replace 28 public toilets and 114 kiosks in conjunction with the redesign. 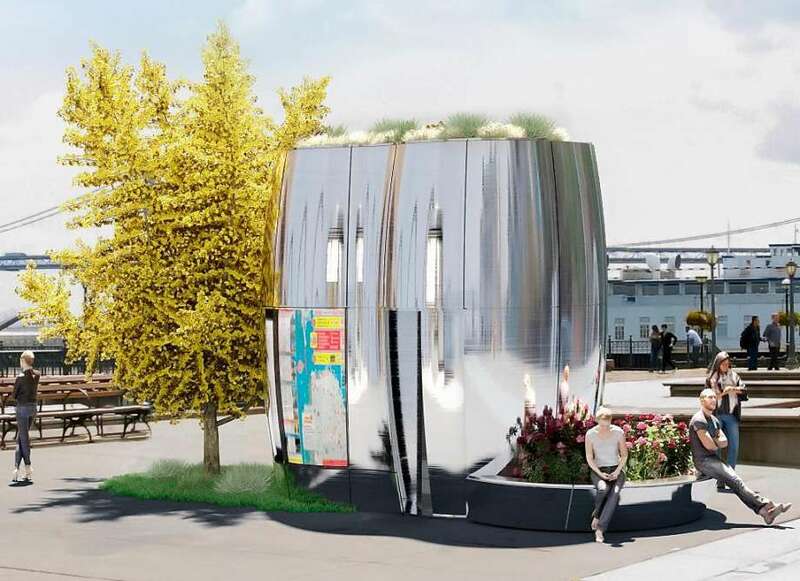 The proposed bathroom facilities will make use of recycled water and are wrapped in reflective metal panels. Current plans call for topping the structures with a rooftop garden. Renderings for the concept include an integrated bench assembly and a ground-level planter, as well. The new proposals, however, are not uniformly loved, either. Darcy Brown, executive director of the San Francisco Beautiful group, told The Chronicle, [It’s a] “pity we lean toward ‘modern,’ which has a shelf life, as opposed to classic, which is timeless.” San Francisco Beautiful opposed all three of the redesign concepts. Next, SmithGroupJJR’s proposal will next head to the San Francisco Arts Commission and the Historic Preservation Commission for joint approval. Approval is expected in the fall. 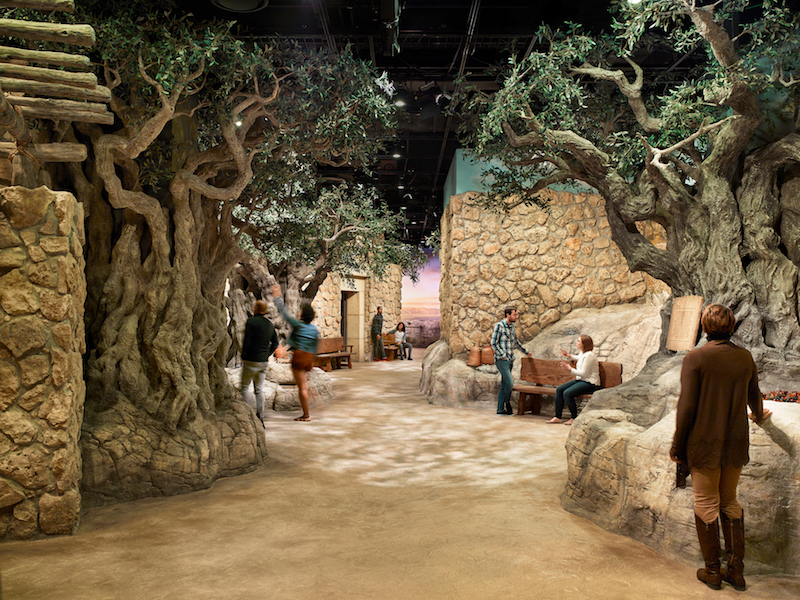 Museum of the Bible opens near National Mall in Washington, D.C. The Museum of the Bible opened last week in a new home designed by Washington, D.C.–based SmithGroupJJR. The museum occupies a renovated 1922 former refrigerated warehouse that later served as Washington’s Design Center, and will comprise a large glass addition meant to evoke an ancient boat (or perhaps ark) floating above the city. In a prepared statement, the designers call it “a palimpsest: the built equivalent of a manuscript that bears traces of several versions of text added and erased over time.” At the main entrance of the eight-level, 430,000-square-foot building, a tall, narrow opening originally used for trains has been restored and is flanked by two large bronze panels inspired by typesetting blocks from the original Gutenberg Bible. It refers to one of the main curatorial concepts of the museum: that the meaning and interpretation of the Bible are historically dependent on its means of production and dissemination. The designers removed several floor slabs added during an earlier renovation to open up the industrial cargo area into a tall atrium that, the designers say, suggests the nave of a Gothic or Renaissance church. The circulation paths are arranged in a vertical hub-and-spoke model that allows visitors to choose their own adventure, rather than make their way along a fixed vertical path as is the case in many multi-level museums, especially those on tight urban sites. The hall now serves as both an orientation and gathering place, while also providing access to the adjacent museum shop and the cafe on a mezzanine above. The new construction sits atop the original industrial brick structure. In the exhibition spaces, removable raised flooring gives curators flexibility, while “digital docents” will be available as either a priest or a rabbi. The museum also includes 12 theatres, a 475-seat performing arts venue, conference amenities, biblical garden, rare manuscript library, a 450-seat ballroom, spaces for scholarly research, and hotel rooms for visiting scholars. 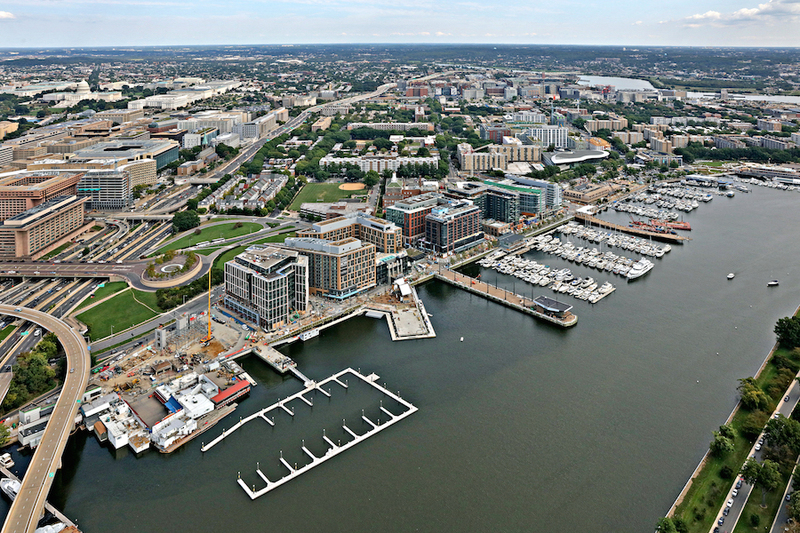 The museum will be visible from the National Mall when looking down 4th Street, and it hovers above an existing Metro train line and also adds to an axis along 4th Street that includes the National Building Museum, the National Gallery of Art, the National Museum of the American Indian, and the National Air & Space Museum. The museum opened to the public last Friday, November 17. 200 years ago, Richmond, Virginia, was home to the largest slave penitentiary in the United States: Lumpkin's Jail. The slave holding facility, also known at the time as “the Devil’s half acre,” held the title for more than twenty years and was a hub for the country's slave trade. 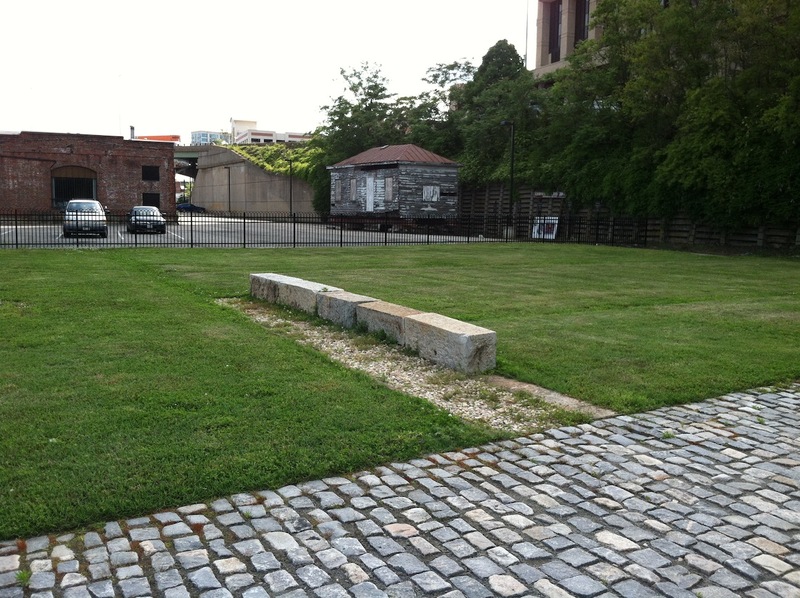 Two centuries on, and after much deliberation, Richmond has decided to move forward with plans memorialize the site where many slaves were once held and lost their lives. 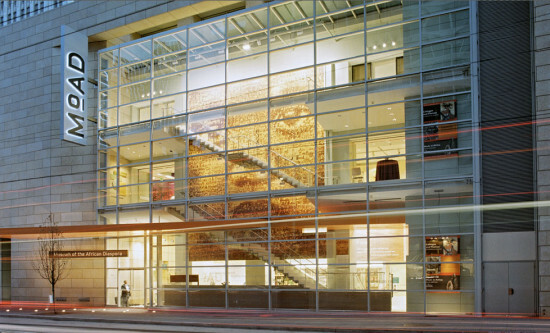 In doing so, authorities have recruited the architecture firm SmithGroupJJR. The Detroit-based practice recently worked on David Adjaye's much celebrated National Museum of African American History and Culture in Washington D.C., being named as "associate design/construction architect." The decision was made by Richmond’s Slave Trail Commission who said they are now ready to lay down some plans. The move has been a long time coming. An emotional Delegate Dolores McQuinn, a Democrat from Richmond, spoke to WVTF Radio. “You know you dream, you pray, you seek direction, input, help, and it’s just phenomenal to be at this place now," she said. News of the plans, however, has not been well received by everyone. Aside from the city's steps to memorialize the site, a large grassroots movement has been running too—though the two haven't always shared the same view. According to WVTF, criticism has fallen on the city for not including a nearby African burial ground in the memorial. Ana Edwards, a leading figure of the grassroots movement, spoke positively of the news. "This is a very good first step, and it is a logical first step," she said. "Our primary goal is that they protect the rest of the footprint, so that it will be there when the funds are available for that development to take place." 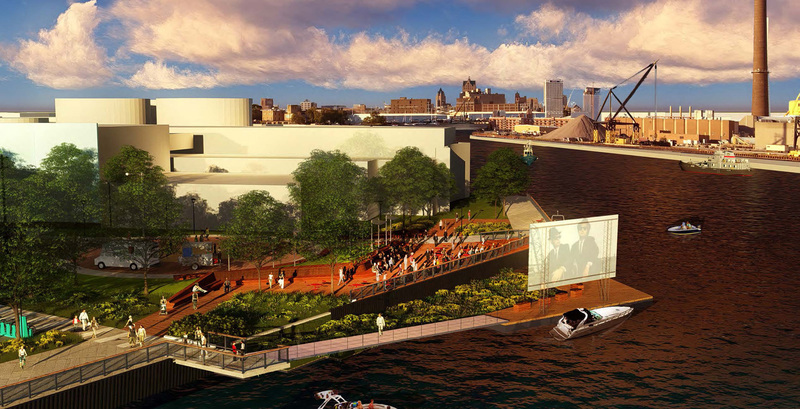 While SmithGroupJJR has joined the project, whether the site becomes a memorial and/or museum remains to be determined. This project also comes on the heels of a new museum and a memorial to the victims of lynching in Montgomery, Alabama, set to open in 2017. When Ford Motor Company took stock of its current 60-year-old Dearborn, Michigan, facilities, it became clear that the only way forward would be to take a big leap into two new high-tech campuses. Spearheading the master plans is the Detroit office of SmithGroupJJR. When completed, the estimated $1.2 billon, ten-year project will involve moving 30,000 employees from 70 buildings into a Product Campus and a Headquarters Campus. Throughout the project, the entire campus will also have to stay 100 percent operational. One of Ford’s primary goals will be to improve the health and well-being of its employees. To do so, SmithGroupJJR has incorporated the seven concepts of the WELL Building Standard, a matrix that addresses air, water, nourishment, light, fitness, comfort, and mental and emotional health of employees. The 7.5 million square feet of new and remodeled workspace will include ample natural light, diverse workstation configurations, social hubs, and various sizes of collaborative workspaces. These workspaces will add up to one conference room or meeting space for every seven workers. The campus will include walkable paths between buildings, green spaces, cafes, and on-site fitness centers. Sustainability is also a major concern for Ford, as it sees the campus as a part of its larger push to rethink the company and its products. The design calls for a minimum Silver certification through the U.S. Green Building Council’s Leadership in Energy & Environmental Design process as well as LEED Gold certification. A new Sustainability Showcase building on the Product Campus will be net-zero waste, net-zero energy, and net-zero water. Geothermal heating and cooling and solar-power generation mean the building will be able to produce more energy than it uses. As a whole, the campuses will reduce Ford’s energy consumption by 50 percent over its current Dearborn spaces. Not only will the campus utilize the latest technology to achieve its sustainable goals, the campus itself will be used as a testing ground for Ford’s latest designs and development. In a shift from being a dedicated auto company, Ford has launched the Ford Smart Mobility plan. The plan aims to investigate connectivity, mobility, technology, customer experience, and big data. As part of the investigation, 25 global experiments have been launched, including three in Dearborn. The experiments will include Dearborn employees testing rapid charging and car sharing, big-data collection, and a car-swap program. As Ford’s main research and development facilities, the campuses will also have access to the latest in autonomous vehicles, on-demand shuttles, and eBikes. At the heart of the Product Campus will be a new 700,000-square-foot Design Center, which will include new design studios and an outdoor design courtyard. The current Design Showroom will be converted into an event space. Construction has already begun on the Product Campus, including the Design Center and the Research and Engineering Center, with a goal of completion in 2023. The second campus will comprise of the Ford World Headquarters and the Ford Credit facility. With plans to begin in 2021, this campus will maintain the iconic appearance of the current SOM-designed Ford Headquarters from 1956, while renovating 1.3 million square feet of workspace. Employees will also have access to new outdoor recreation facilities, including softball and soccer fields, and a renewed Arjay Miller Arboretum. Other greenspaces will include native plantings and large tree-shaded areas. 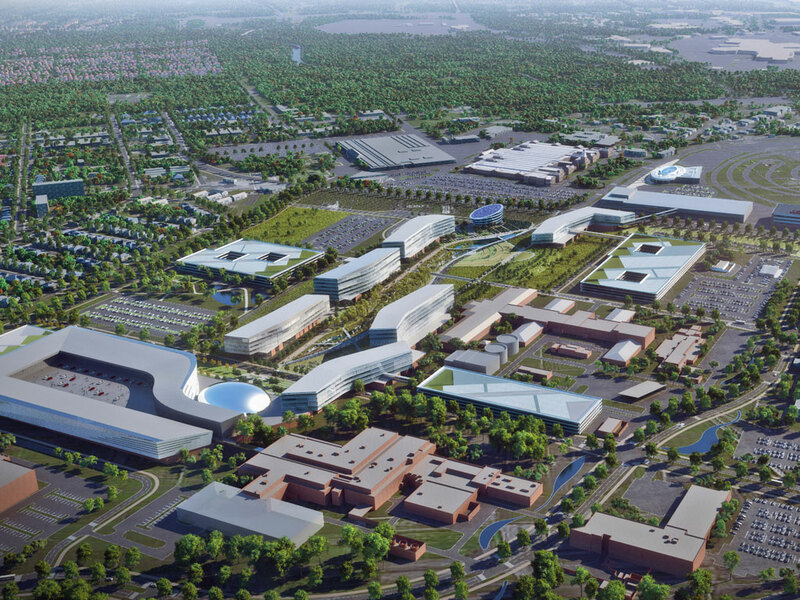 Along with Ford’s recently completed Palo Alto campus, the new Dearborn campuses will be the model on which Ford plans to update all of its facilities worldwide. At 199,000 employees and 67 plants spread across the globe, this will be no small task. With these new bold campuses, Ford has shown that its built environment is going to be integral to its next 100 years. 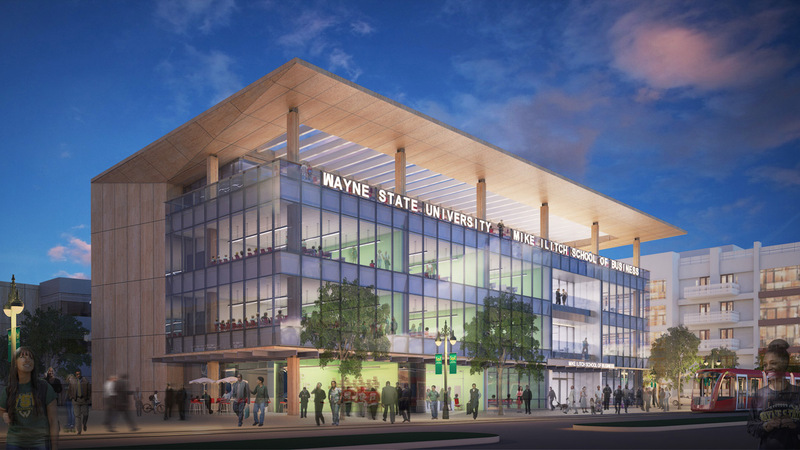 Detroit’s Wayne State University has broken ground on the Mike Ilitch School of Business. The new building was designed by Detroit-based SmithGroupJJR, and is named after the Little Caesars founder Mike Ilitch. The school will be part of The District Detroit, a multi-block entertainment district which includes the under-construction Little Caesars Arena. When completed the school will house 3,000 undergraduate and graduate students. The new building includes open collaboration space, student support facilities, a conference learning center, classrooms, lab space, and faculty offices. “We’ve already seen a boost in applications as a result of the gift announcement last fall, as prospective students recognize the opportunity that comes from studying in an innovative environment and location like this,” remarked Robert Forsythe, Dean of the Mike Ilitch School of Business. The genesis of the new school was a gift of $40 million from Mike and Marian Ilitch. The gift is the largest Wayne State has ever received, and is in the top ten for largest gifts to any public business school in the United States. Along with the Ilitch family’s philanthropic investments in Detroit, the family has an estimated $2 billion of investments in downtown Detroit buildings. These include the Little Caesars Area and a recently announced headquarters for Little Caesars, also designed by SmithGroupJJR. 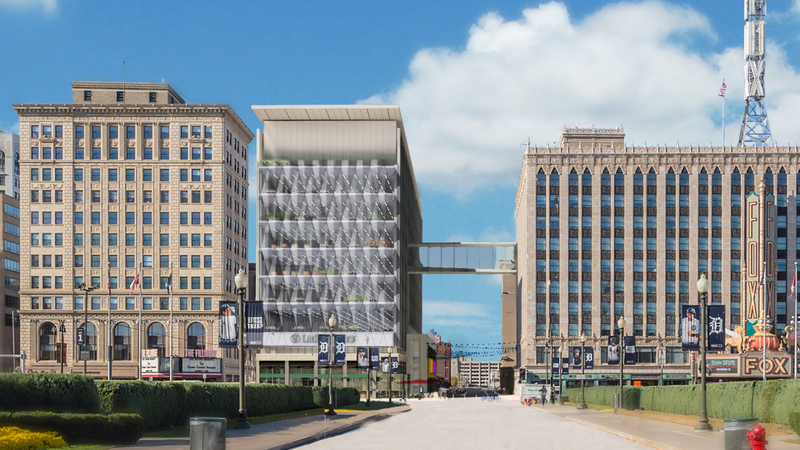 Downtown Detroit is getting its first new corporate headquarters building in nearly 15 years. The Detroit-based Little Caesars pizza company has released the first renderings of their planned 234,000-square-foot headquarters. The Little Caesars Global Resource Center will be the new home of approximately 700 employees. Located across the street from the company’s current headquarters, the buildings will be connected with a 7th-floor skywalk. The project will be one of the first to be built as part of $1.3 billion The District Detroit development. The District Detroit is centered on the under-construction Little Caesars Arena, the future home of the NHL’s Detroit Red Wings hockey team. The Ilitch family, founders of Little Caesars, are heavily involved with the development and own much of the land it will be built on. 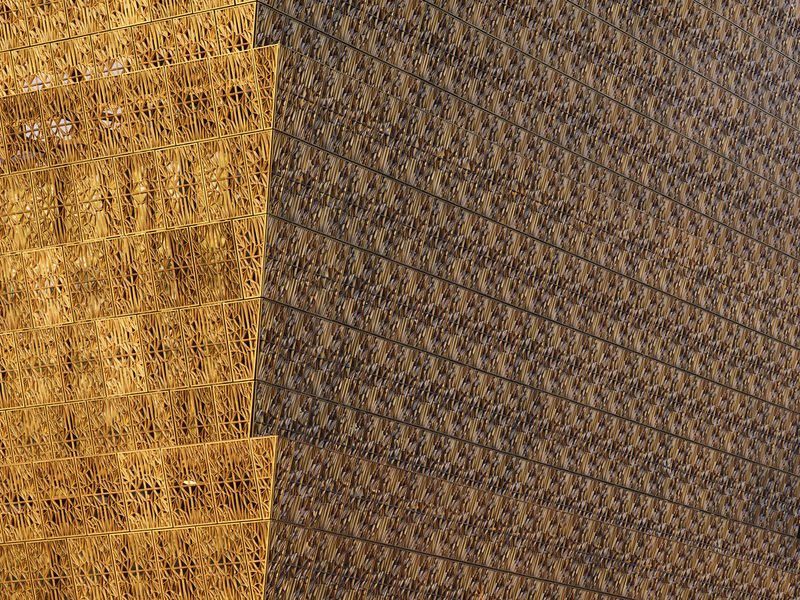 The defining feature of the new headquarters will be a triangulated mullionless facade. The Detroit-based SmithGroupJJR designed the 120 glass panels to echo the shape of the company’s main product, as well as provide unobstructed views in and out of the building. Each glass panel will be 14 feet tall and comprised of two inches of laminated glass. The building will hold collaborative workspaces, informal meeting rooms, and a cafe for workers. The ground floor will include a two-story lobby and a new welcome center. The street front will also have a flagship Little Caesars and other retail. A fitness center and 425-seat training room are also planned for the building. The Resource Center will function as the company’s headquarters as well as a training and research facility. 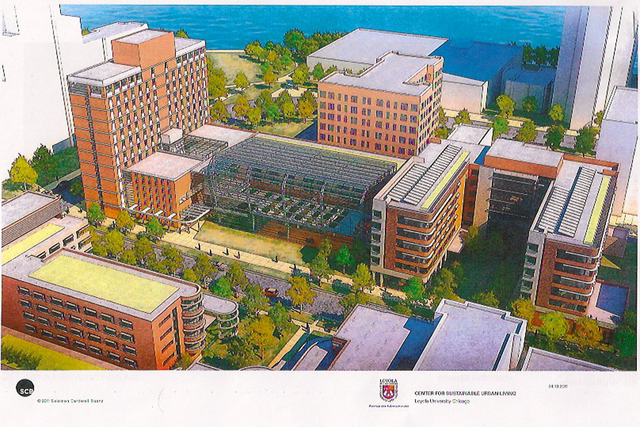 Originally announced in 2014, construction is expected to begin this summer, which a move in date of fall 2017. 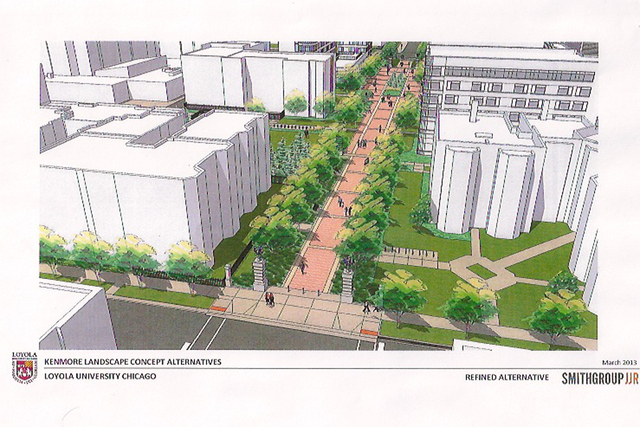 Loyola University hopes to permanently close part of Kenmore Avenue in preparation for new dorms on its lakefront campus in Chicago’s Rogers Park neighborhood. SmithGroupJJR architects, who also helped revamp Loyola's lakefront campus along with Solomon Cordwell Buenz, released some renderings of the new pedestrian space, which would replace Kenmore Avenue between West Sheridan Road and Rosemont Avenue. The university own dozens of parcels nearby that it is planning to develop, including 32 on the block it is hoping to close to traffic. Kenmore is currently closed while Loyola builds a new dormitory. Renderings show a tree-lined permeable walkway and flowerbeds on the residential street.